Thoughts, opinions, and ramblings about (broadly) children's literature from my perspectives as a writer, parent, and volunteer elementary school librarian. Plus I post Fibs, Oddaptations and poetry galore, all listed on the right and left hand sides of the blog. They have interesting curved paths and varying speeds. They should come with a manual. Talk about something small and cute. Eating slugs won’t help you get the ladies. You don’t have time to waste on mistakes. Is there a kitten around? ©2011 Laura Purdie Salas. All rights reserved. Wow, do I love Laura Purdie Salas' method of creating a found poem. In fact, the only thing I might love more than her method is her source of original material and the direction she went with it. OK, and the poem. But other than that, I love nothing more than her method. 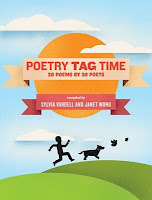 Laura is another one of the many poets here who is part of the Poetry Tag Time, the fabulous collection put together by Janet Wong and Sylvia Vardell (and available for only 99 cents!). You should check her out there, check out her books, and check out her blog, too, so you can see that it's not just found poetry that she nails. It's everything (like her prior poem here!)... 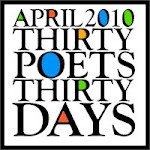 and just one of the many reasons I'm so excited to have Laura Purdie Salas here as part of 30 Poets/30 Days. Yesterday Charles Ghigna let us all Be Still in the World. Up next... Carole Boston Weatherford with A BAT CAVE: An Abecedarian Bedtime Chronicle. 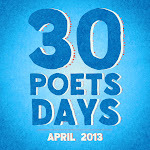 For more information on 30 Poets/30 Days and how to follow along, please click here. This is one of my favorite Laura poems. It cracked me right up, and I did indeed have to go and read the source material, so hey: now I can make robots, too! Nice job, Laura. You've caught the 6th grade damned if you do, damned if you don't animus. Love this. Seriously. And yeah - stay away from slugs. What a blast this poem is! I think it would be helpful to many boys I know. And a good giggle for the girls. 'Glad this poem was found by you, Laura. A. This is utterly fantastic, and I love the method used. I used to clip words out of random sources to label my mixed tapes (quite poetically, I might add). But it never occurred to me to take that idea farther. Super love, and super relate!! Huzzah!! Wow I could have really used this poem in 6th grade ... well to be serious make that every grade I attended in school! You're so talented Laura!!!!! This is one of my favorite Laura poems, too. What a strong voice. Should be performed. Yeah. I love this poem so much! It's really wonderful how she chose that pool of words/phrases, and then was able to shape it into what she wanted to say. This poem would pair nicely with ORIGAMI YODA, a quintessential 6th grade boy book! Thanks so much, Toby, Andi, and Mary Lee! Mary Lee, I haven't read Origami Yoda yet. Heard of it, but that's it. Off to put it on reserve at the library--thanks! I'm a screenwriter, volunteer librarian, dad, and SCBWI member with a love of poetry and picture books. 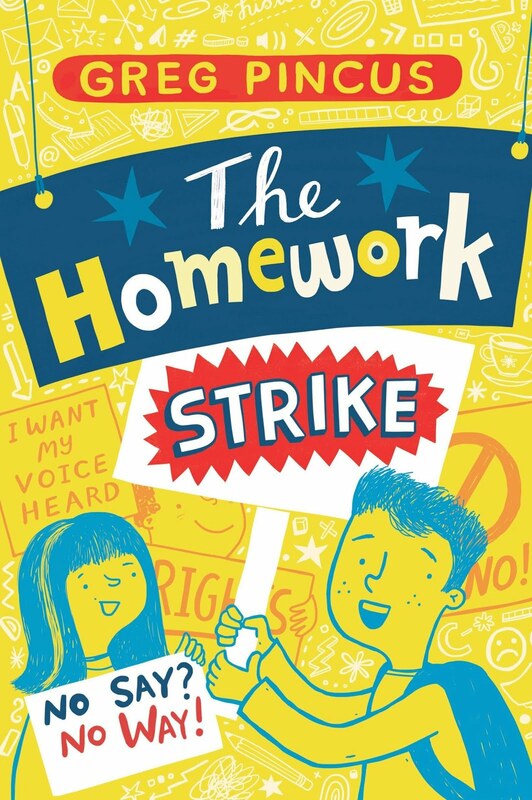 I'm currently working on a middle grade novel for Arthur A. Levine Books as well as writing Fibs, other poetry, and, over at The Happy Accident, all about social media, too. Available wherever books are sold! Still available wherever books are sold! Subscribe to the whole darn blog! Get every one of my original poems emailed to you the day it's posted. Fib news: A BOOK DEAL! Carmen T. Bernier-Grand - "I am God"
Remember... if you link/copy/whatever please give credit where it's due.